Here’s a short unboxing video of Apple’s latest flagship smartphone, the iPhone X. Ahead of November 3rd release, Apple iPhone X arrived early to some customers few days after pre-ordering the device on October 27th. iPhone X features a fullscreen OLED display, wireless charging, dual cameras with improved depth sensing, and a whole new face recognition unlock system called Face ID. 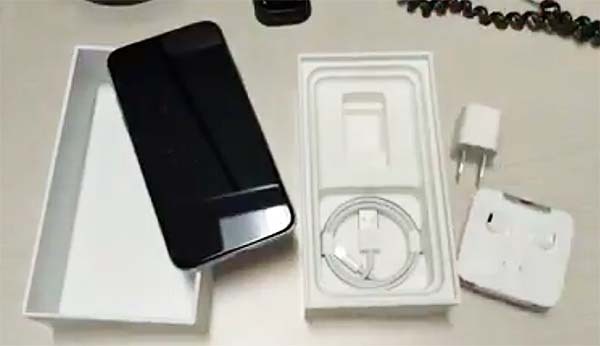 Comes inside the box is the iPhone X unit, documentation and manual, accessories including EarPods with Lightning Connector, Lightning to USB Cable, 5W USB Power Adapter and Lightning to 3.5 mm Headphone Jack Adapter. Here’s the unboxing video of Apple’s newest iPhone X by Rich DeMuro. iPhone X costs $999 in US. The 256GB version costs $1,149. Available in Space Gray and Silver colors.